Some of you may know from following us on social media that I've been under the weather over the holidays. Yuck! For the past month, I've had a cold and persistent cough that have been messing with my diabetes management. With it being the start of a new year, this of course has meant that any resolutions for getting my blood sugars more in range and "starting off on the right foot" have been back-burnered. I hope you don't mind me venting, but I know we gall go through this stuff, and the myriad of formal "How to Take Care of Diabetes When You're Sick" to-do lists just bum me out. Luckily, this isn't a stomach flu or anything more nasty that I've heard is going around, likely thanks to the very important seasonal flu shot I had in the Fall. But even a run-of-the-mill winter cold can mess with your diabetes pretty badly if you're not careful. My primary care physician told me not to worry, that I didn't particularly need any steroids or special meds at this point, but just to rest and keep hydrated to boost my immune system, while watching my BG levels closely. So I've been drinking green tea and consuming soup, and generally hold-up indoors to avoid the Midwest Polar Freeze as much as possible. Keep taking your meds, even if you can’t eat - Check! Drink at least 1 cup, or 8 ounces, of water or other calorie-free, caffeine-free liquid every hour while you’re awake - Check, check, check! Can you say 'holiday bloating'? Check, check, check, check! All common sense if you ask me. Not surprisingly, my BG readings have been running high -- often above 180 mg/dL, even with an increased basal amount of Tresiba on board. It was kind of unfortunate timing that I've been taking a holiday break from wearing my CGM, so I haven't been able to see the daily ups and downs in real-time like usual. On top of that, I've not been using an insulin pump for the past months, so can't just crank up a Temp Basal like I would have with that device. In general, I've been happy handling my diabetes via Multiple Daily Dosing (MDD) using Afrezza and a pen needle throughout the day. But without the CGM+pump gear this period of higher BGs is a little trickier. But this isn't unexpected, as I've been sick before, and I do know how to handle things. It's also not a time to panic, as I have to remind myself this is only a short-term fight. Yes, my use of Afrezza has been impacted by this sickness. It's not difficult to imagine that if you're plagued with a cough, then it's tough to smoothly inhale powder into your throat (which then causes more coughing). A number of times over the past month when I tried to inhale an Afrezza cartridge, I just couldn't hold back the cough and ended up spewing an Afrezza cloud into the atmosphere. So I stopped using it for the latter half of December and early January and mostly stuck to my NovoLog and Tresiba injections. A fellow Afrezza user did offer a tip, though: Take a sip of something (like water or tea) just before inhaling, inhale the Afrezza, and then hold your breath for a minute or so. After my heaviest period of coughing fits passed, this actually did start working, so I've been using this technique for the past week or so with pretty good success. Fortunately I suppose, I've not been as hungry as normal, so the higher BGs and lack of Afrezza dosing have been balanced out a bit by my lack of interest in eating. Still, you can't not eat for very long, and there have been a few moments when I've felt like I'm starving (despite my illness-saturated blood still showing elevated BGs) yet I decided to forgo the food in the interest of keeping my BGs as level as possible. Did I mention tea and soup? Yeah... I'm pretty done with all this about now. 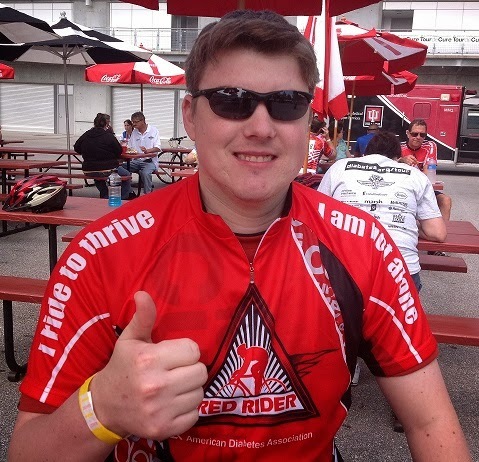 This post by Mike Hoskins was originally published on DiabetesMine in January 2017. Just a guy in his 40s, who's been living with Type 1 diabetes since the age of five. A husband, friend, dog owner, journalist, writer, history lover, movie buff, Sigma Pi Man, and huge fan of Coffee & Conversation. 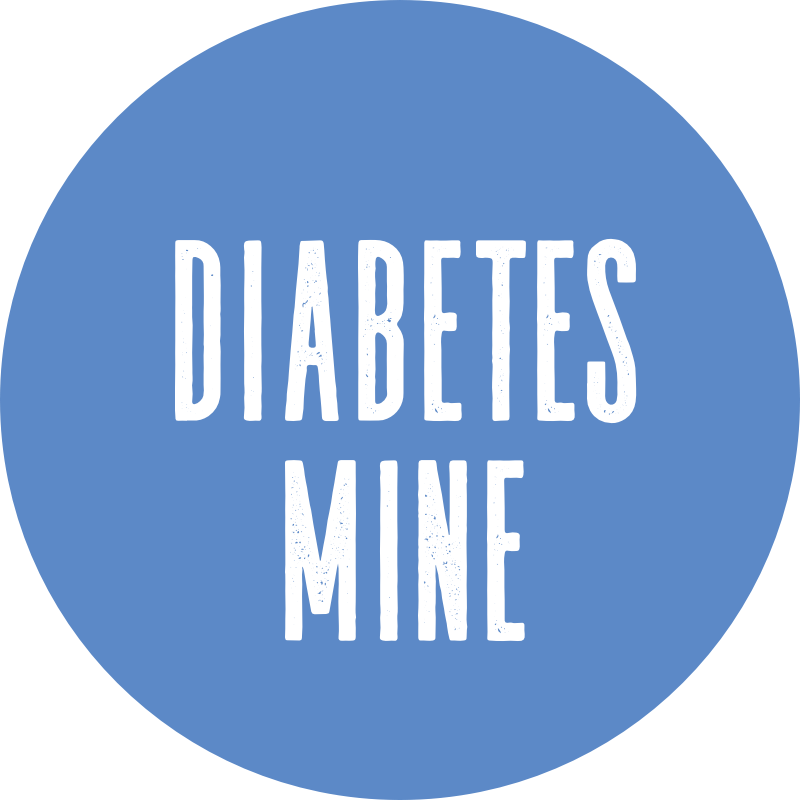 I'm spending most of my time these days writing about diabetes over at DiabetesMine... I'm very proud of the diabetes journalism work there, so make sure to go check out that "diabetes newspaper with a personal twist." Meanwhile, it's fun keeping tabs on my personal life adventures here at The Corner Booth. This is my personal comment policy. While I love hearing from everyone and welcome your thoughts and discussion, I only ask for everyone to extend each other courtesy during that commenting. Please leave the personal or negative attacks on another screen somewhere. I love debates and disagreement is certainly welcome, but let’s keep it civil and respectful. On top of that, I’ve recently been thinking about privacy rights that commenters may or may not have. This is tricky and uncharted legal water, but some recent court rulings nationally have raised questions about this. Some news and media sites online have been sued for defamation or been brought into lawsuits because of anonymous comments posted, and have been required to turn over IP addresses and information to determine those commenters' true identities. While this in no way applies to personal blogs at this point, I want to avoid potential issues down the road. So, please know that there is NO EXPECTATION of privacy if you leave a comment, even anonymously. If a court ever orders me to do so, I'll follow the law and that order despite whatever my personal beliefs are on privacy. Thanks for your understanding, and your continued participation here! Copyright © 2007-2019. Intellectual Property of Michael W. Hoskins. All Rights Reserved. Awesome Inc. theme. Powered by Blogger.